Islamophobic attitudes and overt acts of hostility toward Muslims in the United States are increasingly commonplace. 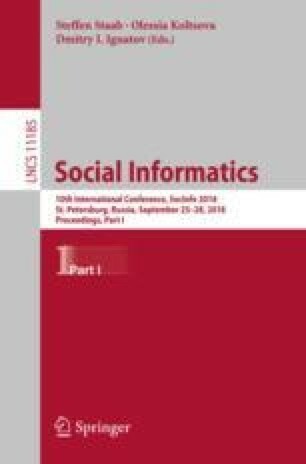 The goal of this research is to begin to understand how anti-Muslim political groups use the Facebook social network to build their own online communities, and to investigate crossover with other far-right political ideologies, such as anti-immigrant or white nationalist groups. We used the public Facebook Graph API to create a large dataset of 700,204 members of 1,870 Facebook groups spanning 10 different far-right ideologies during the time period June 2017–March 2018. We then applied social network analysis techniques to discover which groups and ideologies shared members with anti-Muslim groups during this period. Our results show that anti-Muslim groups serve as an “ideological center” for several other categories of far-right extremism. We want to thank our contacts at the Southern Poverty Law Center and our two panels of experts for their kindness and leadership in answering many questions about the history and ideologies of far-right extremist groups in the United States of America.